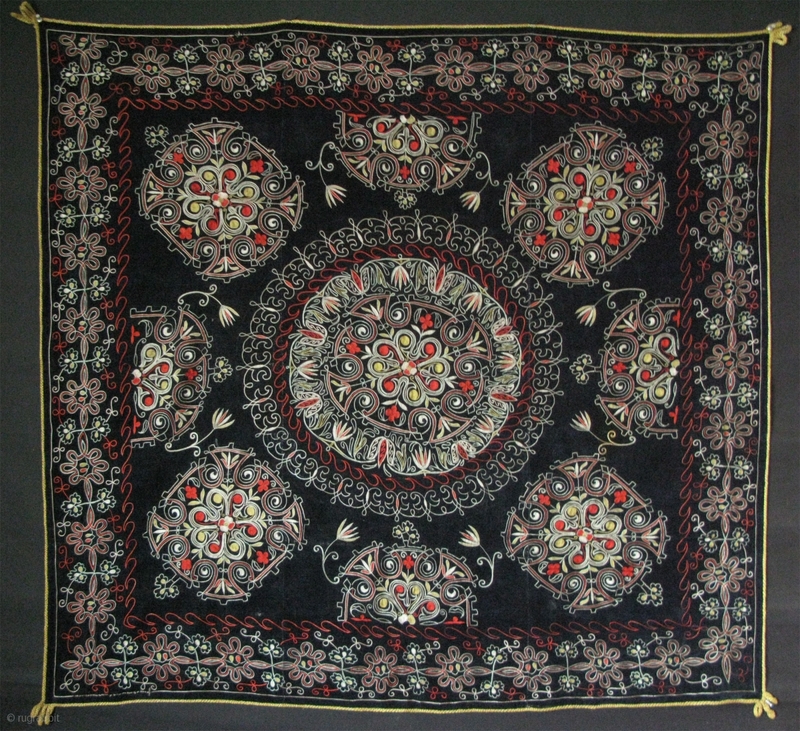 Central Asia, Kirghiz wall or bedding pile hanging. 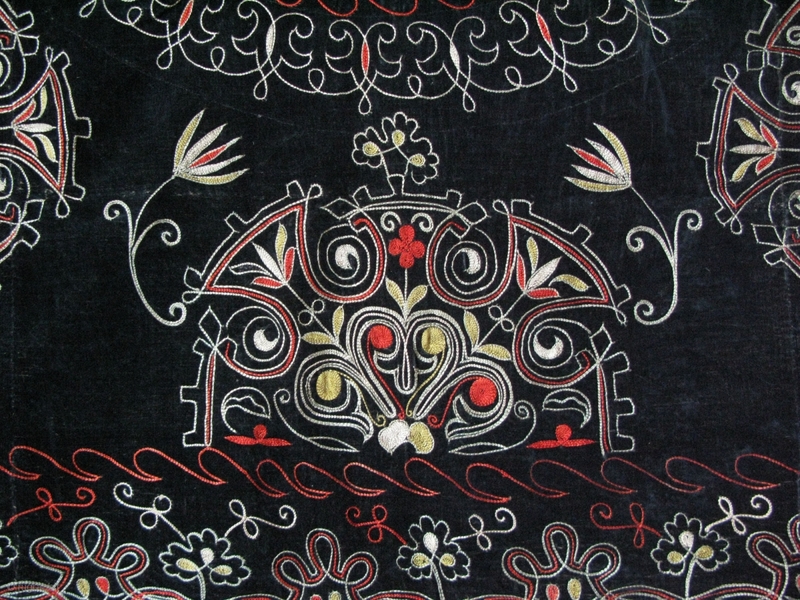 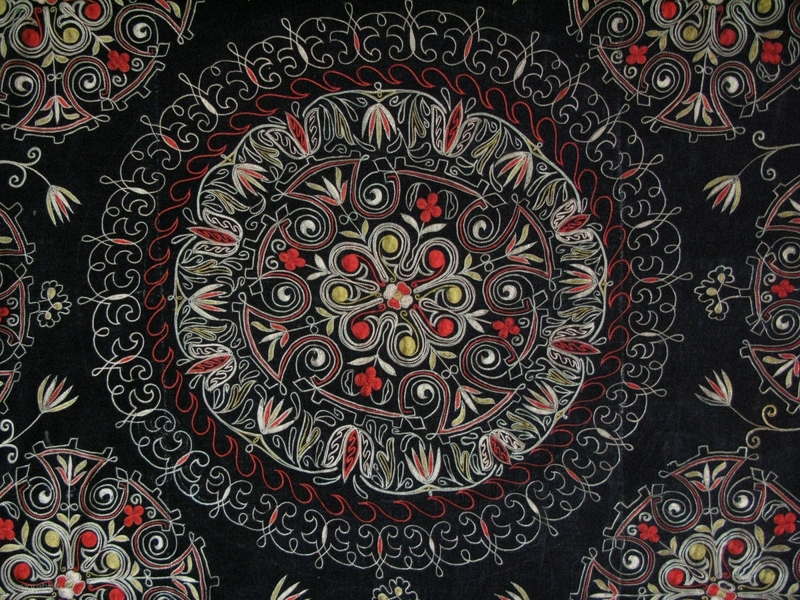 Silk very fine chain stitch embroidery on velvet with traditional wild crocus floral designs.. Circa 1920-30s. 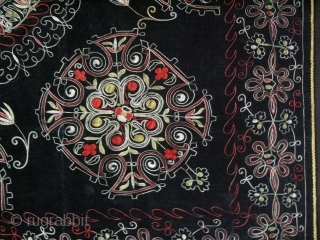 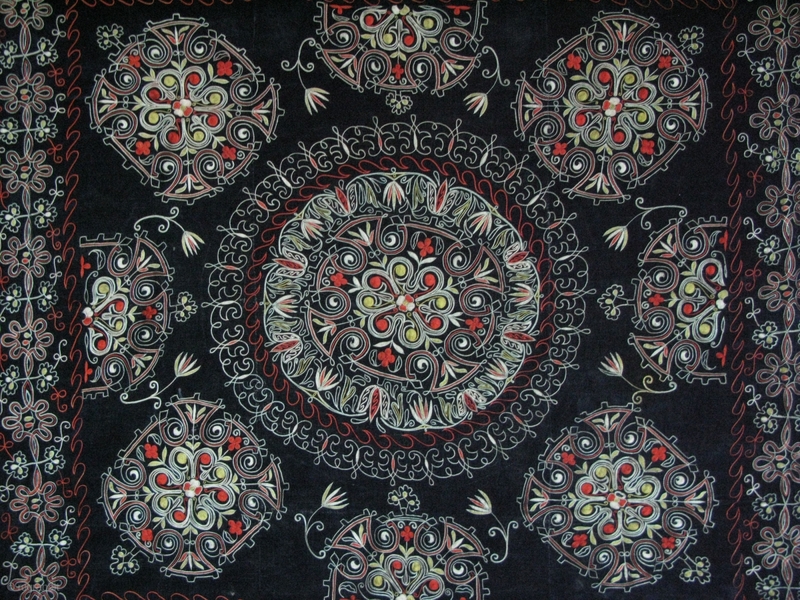 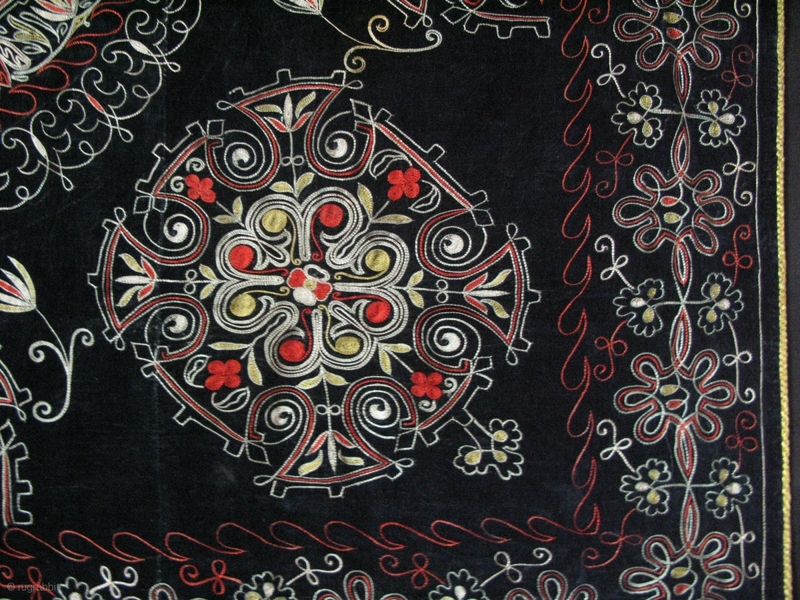 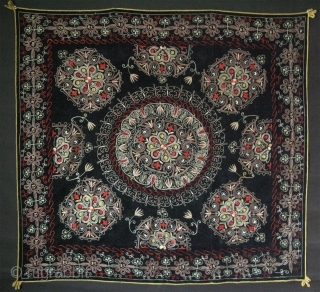 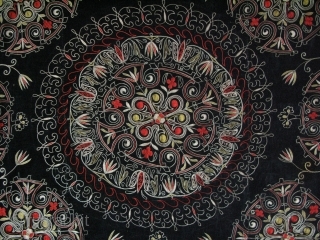 Size: 50" x 53" - 127cm x 136cm.